Somali President Abdulahi Farmajo is in Ethiopia to seek the country’s support in the fight against jihadist group al-Shabaab. 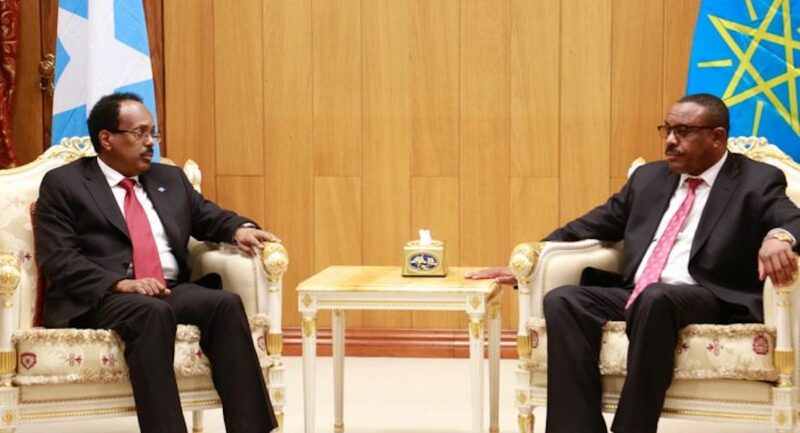 “I’m here to seek support from Ethiopia as I did in Uganda for AMISOM troop contributing countires to redouble their efforts so a renewed fighting against al-Shabaab can take place sooner,” he said. Somalia’s capital, Mogadishu, was hit by a deadly attack last week, killing more than 350 people, the country’s worst attack in years. Farmajo is calling for a stronger and more concerted war against the militants, as he seeks to crush them. The Ethiopian government is said to have agreed to his request, and will support the fight. Officials said the Ethiopian army will stand alongside Somalia to execute all present and future missions planned to defeat al-Shabaab. Farmajo has previously visited Uganda, where he went to seek President Yoweri Museveni’s support in the same fight.